RBC HERITAGE: The Great Comedown formally known as the RBC Heritage gets underway this week, and though this tournament gets nothing but positive reviews from the players and lots of support from the local community, let’s face it: nobody dreams of winning the “prestigious” tartan plaid jacket. Seriously, though– while it may be easy to have a little fun with a winner receiving a jacket that is most definitely not green, and how, in a sense, that unsightly red plaid jacket sums up this event perfectly, there’s nothing funny about the $6.9 million purse, or the course– Harbour Town Golf Links– which is one of the most universally-beloved layouts on the PGA Tour. Built by Pete Dye some 50 years ago, Harbour Town is a shortish 7,100-yard Par 71 that requires accuracy off the tee and precision with the short and mid-irons. The Bermuda greens are the smallest on Tour and are usually quite firm, making them difficult to find and placing an added emphasis on the short game. The greens, in addition to the overhanging trees that often require players to shape shots from the fairway, are the course’s primary defense and the main reason why it’s held up so well over the years despite minimal architectural tweaks. 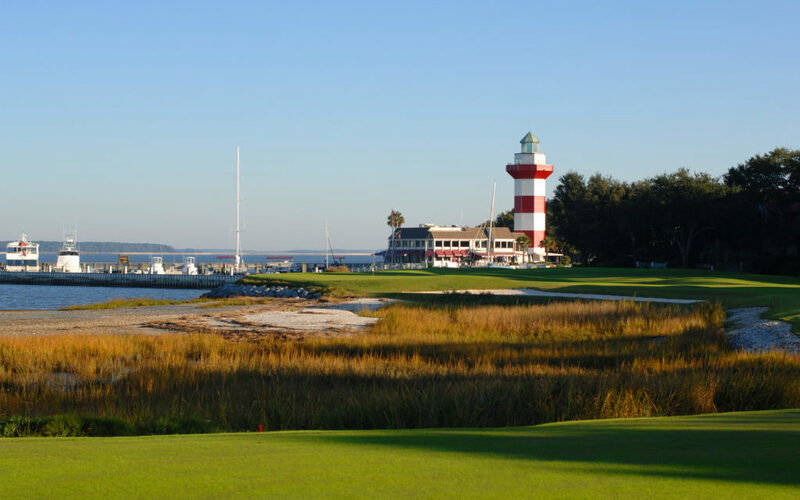 Harbour Town is the rare gem that frustrates the best players in the world despite not requiring length off the tee. Japan’s Satoshi Kodaira shocked the golfing world here last year to pull out his first PGA Tour victory, and while he’s back to defend, he’s yet to finish better than 32nd in 13 PGA Tour starts this season, so a repeat performance would be a true stunner. That’s especially true when you consider the field, which is quite compared to most week-after-major events. South Carolina native Dustin Johnson (9.2) returns despite a very uneven history at Harbour Town, and he’s joined atop the market by the likes of Francesco Molinari (18.5), Bryson DeChambeau (19.5), Tommy Fleetwood (27.0), and Matt Kuchar (27.0). The past three winners of this tournament were all first-time PGA Tour champions, but something tell me that streak is going to be broken this year. Bryson DeChambeau (19.5)- After a breakthrough 2018 season, DeChambeau has started slowly this year, with January’s Sony Open standing out as his last top-10 finish. But he’s coming– he began to show signs of form at The Players, shooting four consecutive sub-par runs to finish T20, and he was close to putting it all together last week after opening with a 66 at Augusta National and holding the solo lead for a time on Friday. You get the feeling that DeChambeau’s next two months are going to be a whole lot better than his last two, and he’s built for success at Harbour Town– he finished a shot out of a playoff here last year, and has now found the top-5 twice in three career appearances at this event. The price is a bit shorter than you’d like, but I rate DeChambeau as the favorite this week, so 19.5 is good enough for me. Jim Furyk (40.0)- Though he didn’t qualify for the Masters last week, Furyk has been on quite a roll in 2019, finding the top-25 in five of his past six starts and finishing runner-up at The Players. He’s been striking the ball beautifully, leading the Tour in driving accuracy and ranking 12th in GIR percentage, and no one in the field has a better record at Harbour Town– Furyk is a two-time champion of this event (’10, ’14) and has logged eight top-10s here over the course of his career. A week of rest while others were grinding it out at Augusta is nothing but a positive for the 48-year old, as he should be rested and raring to go at one of his favorite tracks in the world. I’m fairly enthusiastic about Furyk this week at a price like 40.0. Keith Mitchell (94.0)- Mitchell got off to a slow start this season, but he figured something out about six weeks ago and has been a different player ever since, winning the Honda Classic and following that up with a 6th-place showing at Bay Hill, and then making the cut and finishing under par at both The Players and the Masters. He’s a quintessential fairways-and-greens type, ranking 10th on Tour in strokes gained off the tee and 22nd in strokes gained tee-to-green, and Harbour Town is a ball-striker’s track, so it should be a good fit. Mitchell made the cut on debut here last year but didn’t play great over the weekend, finishing T55. But now he’s just a month removed from a victory and his game is on the upswing, so I think we can expect a much better result this week. Getting Mitchell at better than 90/1 is nice value.